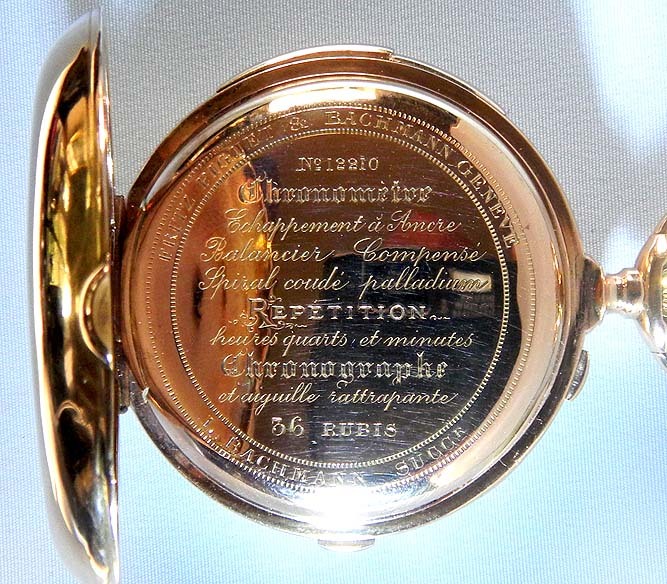 Fine Swiss 18K yellow gold hunting case chronometer minute repeater split second chronograph antique pocket watch by Fritz Piguet and Bachmann, Geneve, circa 1880. 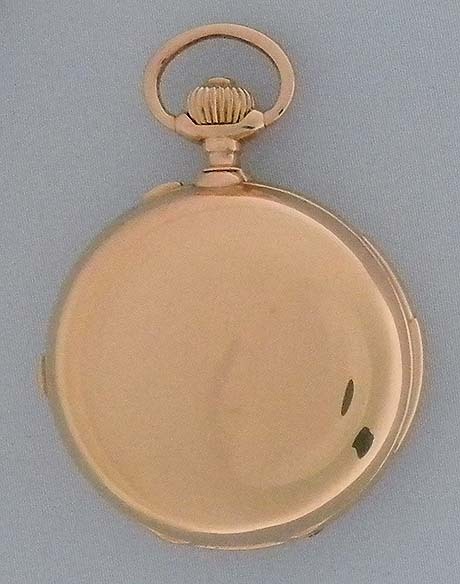 Plain polish case with gold and glazed dust covers and chronograph buttons and repeater slide in the band. 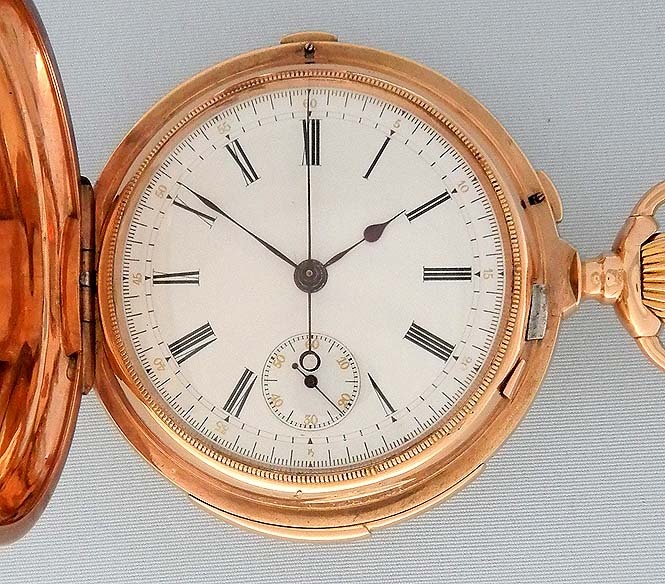 Fine white enamel dial with gold and black markings and blued steel hands. First quality 36 jewel movement (minor spots) jeweled to the center and the hammers. 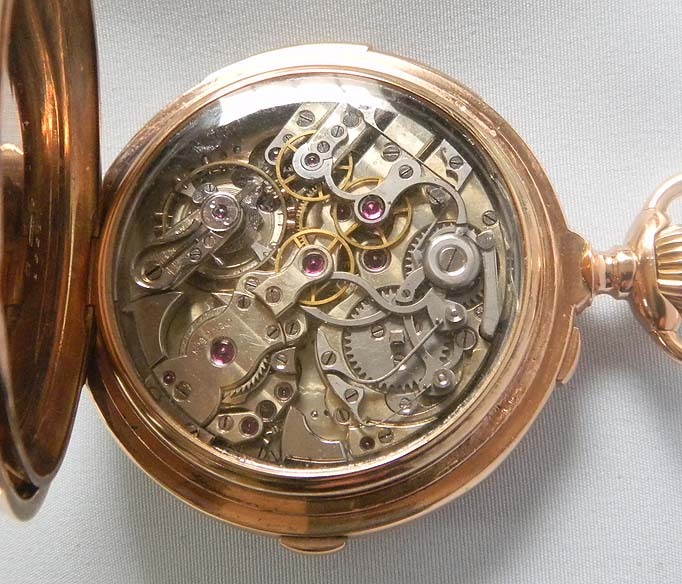 Palladium hairspring which is rare to find in pocket watches. 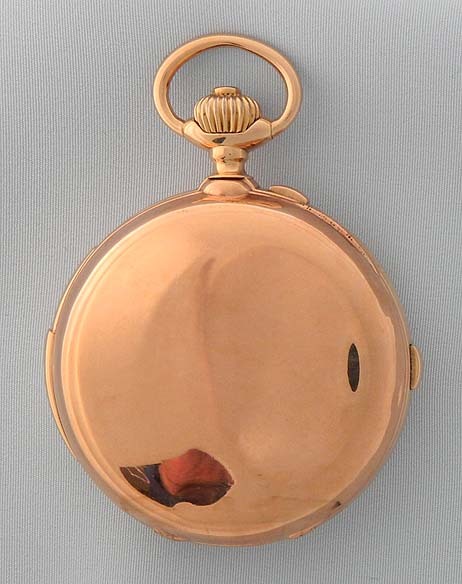 The chronograph works mounted on the back.